With ICS becoming available for more and more smartphones and tablets, apps specifically designed for Android 4.0+ ICS is slowly gaining foothold. Story is no different as far as Android Launchers are concerned. 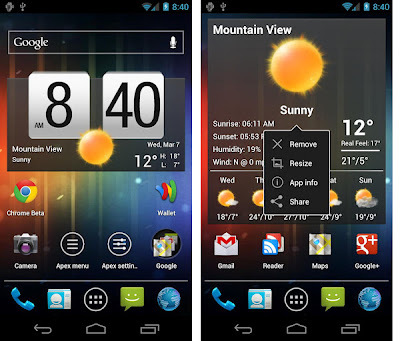 Though a good number of highly regarded Android launchers have not been updated for Android ICS, a number of brand new Launchers are available in Google Play Store which are made for Android 4.0+ ICS from ground-up. Stock Android ICS launcher is really good unlike that of previous iterations of Android. So the need for alternatives is really low when compared. 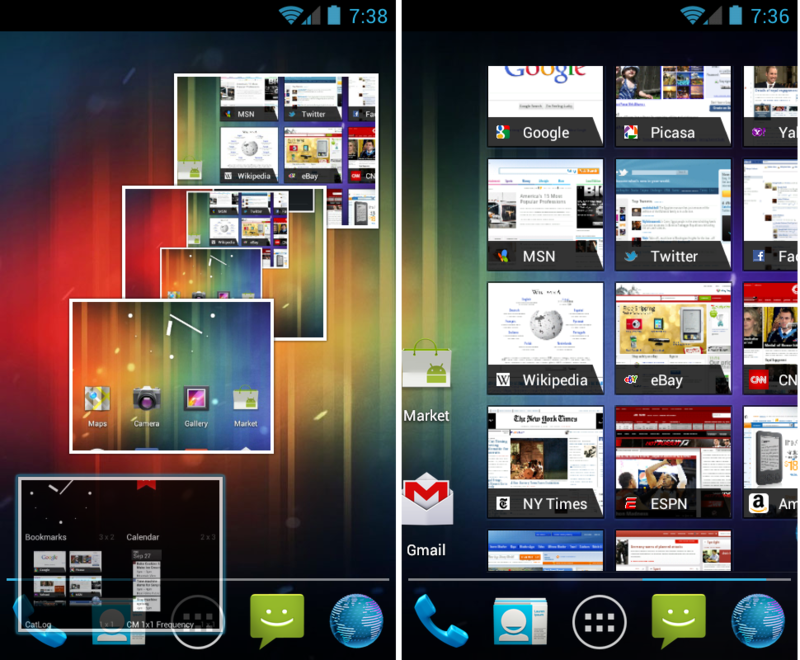 Anyway, Apex Launcher is a fast and highly customizable home screen replacement for Android 4.0+ ICS. It surely looks pretty without losing any of the details. Apex Launcher supports multiple drawer styles, drawer apps sorting, tablet specific optimizations, infinite and elastic scrolling, fancy transition effects, homescreen gestures etc. And the whole package in completely free too. Nova Launcher, along with Apex Launcher, are the two most preferred Launchers for Android 4.0+ ICS. In fact, these are the only two Launchers available in Google Play Store specifically designed for ICS at the moment. 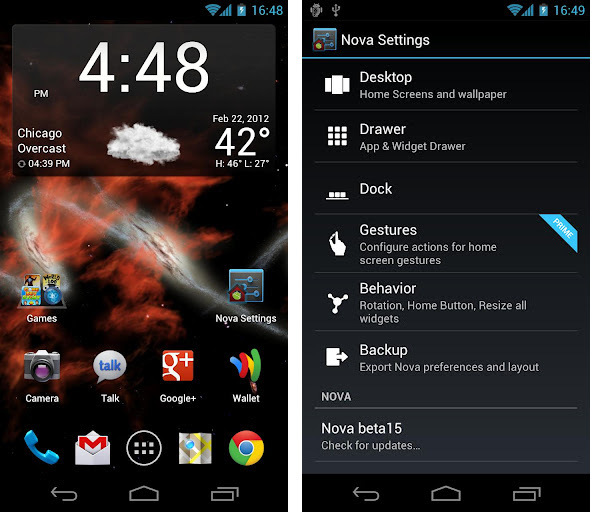 Though many consider Apex as the perfect Launcher for ICS, Nova doesn't fall so far behind either in terms of overall usability or crispness. Though free version of Nova Launcher is enough to meet requirements of an average user, there is this paid, slightly more feature rich Nova Launcher Prime version also. Trebuchet Launcher is the official CM9 Launcher which is still in its early stages of development. It is yet another highly regarded ICS Launcher (though it only works on Android 4.0.1+). Supported features include separate apps/widgets in drawer, show and fade scrolling indicator in homescreen and drawer, enable/disable auto-rotate, transition effects etc. to name a few. Trebuchet Launcher is not available in Google Play Store and hence you have to manually download and install the Trebuchet APK. Now, if you are not looking for a dedicated Android 4.0 ICS only Launcher, there are quite a number of options available. Here a quick list of top 6 Launchers for Android.